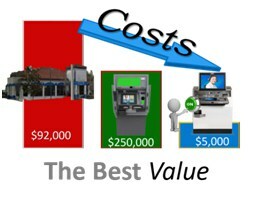 Automated Transaction Delivery assisted self-service solutions are the integration of all our current technologies. They are based on the self-service first assistance where needed delivery model that consumers and businesses are migrating to. These solutions can be used to migrate branch transactions to a self-service first model. 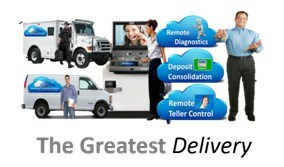 They can be used for extending Personal service branch hours thru our video conferencing and remote control technology. These solutions can be placed almost anywhere for a self-contained island location, to a thru the wall kiosk and a standalone service center in a branch or public location. Our technology enables assisted self-service functionality without the need for a long difficult integration project. Our central server wireless capability allows us to develop technology far in advance of delivery to a customer site. Our solutions require no Financial Institution supplied and managed technology or resources that all other solution providers require. 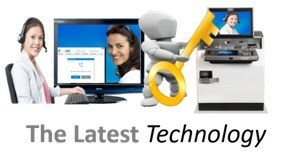 Our assisted self-service devices are fully functional on delivery and are integrated with all our technology. They include the remote diagnostics capability, remote software management and remote marketing functionality in all our solutions. Additionally, they include remote conferencing and transition delivery control required for remote personal service. The value we deliver with our Assisted self-service solution is notable starting with the ability to replace the cost of a traditional branch while offering most of the required customer service. Our industry value is derived from our technology that eliminates the need for lager upfront investment and long term management costs. Our technology fee model allows the Financial institutions to enable only the functionality they require while receiving the benefit of our 100% transactional revenue offset.